Diabetes is an age old chronic lifelong disease of malfunction of the Pancreatic Cells (which produces little or no insulin) and carbohydrate metabolism resulting in High Blood Sugar, disturbance in production of glycogen and its storage in the liver and muscle tissues.Due to the present hectic lifestyle, improper food and late eating habits, inadequate physical activity, being over weight, increased cholesterol and tension etc. Diabetes has become a fast spreading disease all over the world. To control Diabetes the above mentioned causes should be addressed with regular exercise, long walks, diet and medication, otherwise serious health consequences would occur. 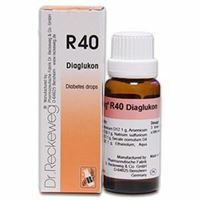 R-130 consists of a unique formula (Insulin and Epinephrin) which incombination with other regular indicated remedies for DIABETES MELLITUS has a more effective action for the metabolism and pancreatic excretory dysfunction. 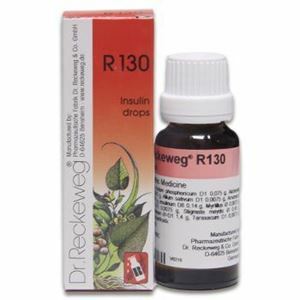 R-130 takes into consideration the long term possible damage of High Blood Sugar on various organs like the liver, kidneys, heart etc. Acid Phos D1: Frequent urination specially at night. Mental and Physical weakness. Cramps on the legs at night.2. Epinephrin (Adrenalin) D6: Angina and High Blood Pressure due to increased level of Sugar.3. Alchemilla Vul D1: Stimulates the malfunctioning liver.4. Allium Sativa D1: Vaso dilator, reduces Cholesterol. Heart Stimulant.5. Arsenic Alb D2: Weakness, increased thirst and restlessness. Affections of the Kidneys, urine contains blood, albumin and pus.6. 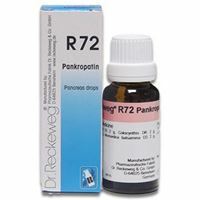 Insulin D8:The Pancreatic enzyme that restores the ability to oxidize carbohydrates and maintain the blood sugar level.7. Myrtillus •: Urinary infections in Diabetes.8. 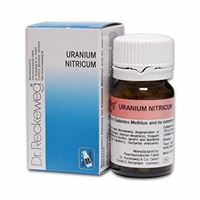 NuxVomica • : Very irritable, high tempered and sensitive patients, frequent desire to urinate.9. Stigmata • : Decreased urine with blood and phosphates.10. 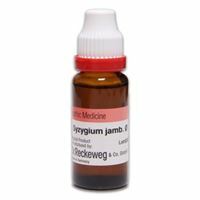 Syzgyium Jamb • : One of the most specific remedy for Diabetes. High Blood Sugar, increased thirst and weakness. Constant Itching and rash over the body.11. Taraxacum D1: Liver enlarged, constipation. Reduced appetite with bitter taste and swellings. Dosage: 5 to 10 drops 3 times daily 10 minutes before meals.Note: R-130 is not a replacement therapy for insulin which should be continued.